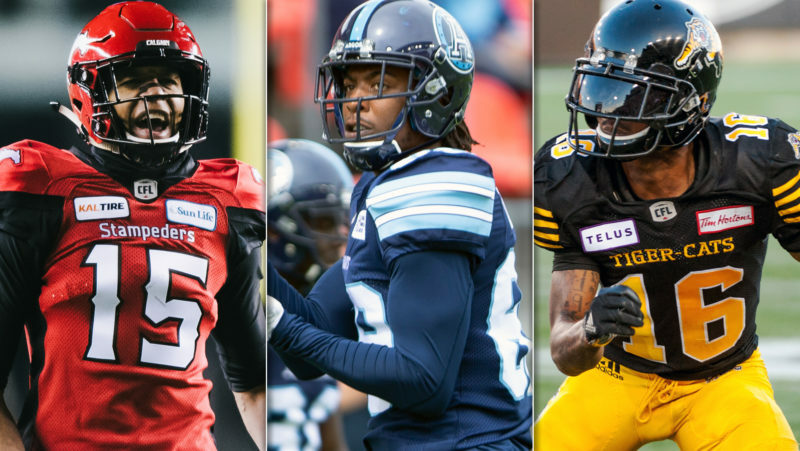 One of the most talked about storylines this off-season has been the departure of some of the CFL’s well-known stars to the big league south of the border. Diontae Spencer, D’haquille Williams and Alex Singleton are just a few of the noteworthy players that have landed NFL opportunities, parlaying productive seasons into opportunities elsewhere. Where one door closes, another one opens. Those players will be missed, but job openings across the league will allow new players to thrive and become stars, much like Williams did in 2018 with the Eskimos when he stepped into the shoes of the departed Brandon Zylstra. Who will be this year’s Duke Williams? While capping eligibility at 20 career starts, and also avoiding pending free agents like Tobi Antigha, who otherwise belongs on this list, here are 20 players on track to become stars in 2019. Since taking over as Montreal’s featured tailback, William Stanback was among the best running backs in the CFL, rushing for 483 yards on 76 carries and an average of 6.4 yards per attempt. He added 20 catches for 250 yards and two touchdowns, proving to be just as big a factor in the passing game as on the ground. At just 24 years old, Stanback is a player to get really excited about in 2019. He’s got a thick, powerful frame at 6-foot, 233 pounds, but runs faster than his size suggests, having once run a 4.48 in the 40-yard dash at an NFL regional combine. That rare blend of size and speed was on full display in the second half of last season, helping the Als bounce back from a 1-8 start with a 4-5 finish to their season. An offence built around Stanback could really make some noise and turn heads next season. When Solomon Elimimian suffered an early-season injury, it was assumed the Lions’ already-struggling run defence would continue to drop off. That wasn’t the case, as Jordan Herdman stepped into the starting role and filled in quite nicely, racking up 56 tackles and two sacks in 18 games, including a season-high 12 tackles against the Ottawa REDBLACKS in his first career start. Herdman was a polarizing prospect coming out of Simon Fraser, because while the scouts didn’t rave over his testing, his game tape showed the makeup of a really good football player. The 24-year-old sophomore carried that into his professional career, showing up with the Lions in 2018 and proving he deserves to be a regular starter on defence and a potential ratio-breaker for years to come. You didn’t hear Tre Roberson‘s name a ton in 2018, but that’s usually a good thing for a starting boundary corner. The 26-year-old was outstanding in his first CFL season, showing he belonged as a regular starter on the league’s most dominant defence. Many, in fact, argued that Roberson should have gotten the nod over Jordan Williams-Lambert as the West Division’s Most Outstanding Rookie. In addition to helping the Stamps win the 106th Grey Cup presented by Shaw, Roberson also tallied 54 tackles, three interceptions and two forced fumbles. He’s a building block in a Calgary secondary that could lose some players to free agency. New co-host Donnovan Bennett and Davis Sanchez tackle how the differing replay rules impact football on both sides of the border, take a deep dive on the Riders’ coaching search and candidates they weren’t granted access to, and more as The Waggle re-launches. Three Stampeders running backs helped fans forget about Jerome Messam in 2018, as Terry Williams, Romar Morris and Don Jackson all showed flashes of greatness. While Williams and Morris possess the type of speed that can change the game in a single play, there was never a doubt who Head Coach Dave Dickenson preferred as Calgary’s feature back. When healthy, Jackson was among the CFL’s most productive running backs, totaling 924 yards and three touchdowns with a 5.78 average. With the injuries and revolving door at receiver, Jackson became a centrepiece of the Stamps’ offence, running the ball eight or more times in every game, while hitting double-digit carries in every game but two. Jackson has the build and ability of a franchise running back, and at 25 could see some rushing titles in his future. 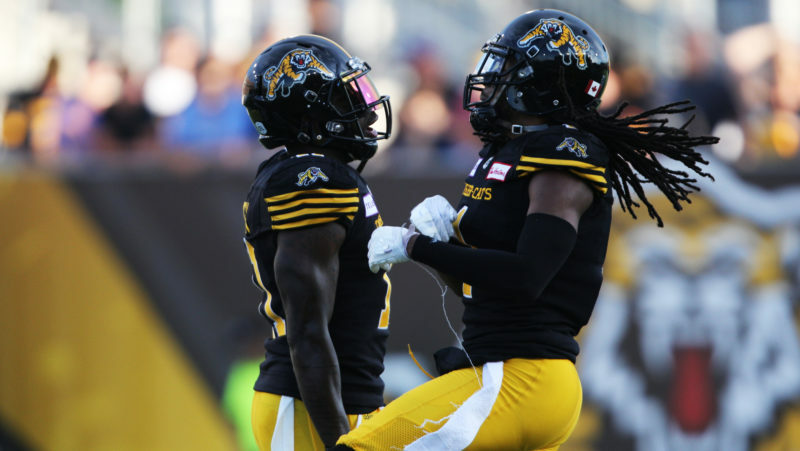 With Brandon Banks injured and veteran Terrell Sinkfield failing to make a mark, Bralon Addison had one game to prove to the Ticats he can make an impact. The 25-year-old didn’t disappoint, hauling in seven passes for 103 yards and a touchdown in his season debut, then in the playoffs going off for 17 catches and 253 yards in two games. The former Oregon Ducks pass-catcher fit seamlessly into Brandon Banks‘ spot and should get the chance to carry that into 2019. He’ll fit in perfectly along with Banks and Jalen Saunders in what was the CFL’s most prolific offence in 2018. 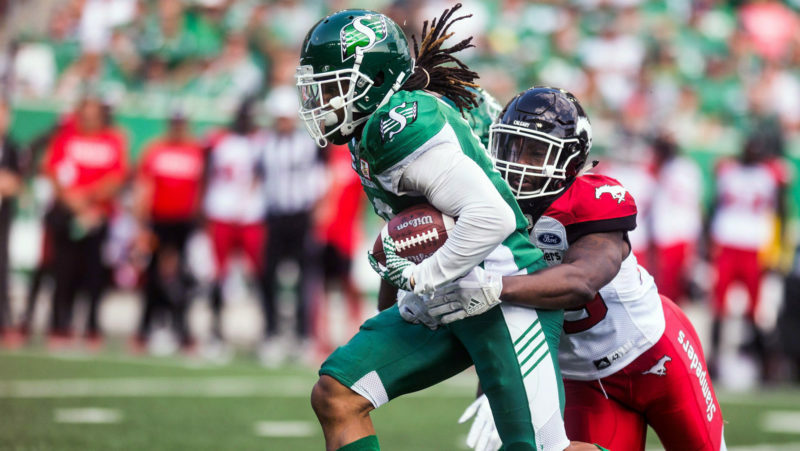 Despite a lack of experience on this side of the border, Tre Mason earned the trust of Chris Jones throughout 2018 and became the Riders’ featured back. While he didn’t quite get the volume of a workhorse running back, hitting double-digit carries only four times, there’s a lot to be excited about when it comes to the former third round NFL Draft pick. Mason, a former Auburn star, has a short, thick frame but is fast and quick, offering big-play potential on every touch. He finished his season with 809 yards and a 5.1-yard average, dipping his toe in the CFL waters and setting himself up for more responsibility in 2019. Still just 25 years old, Mason may have finally found his long-term football home. Eugene Lewis has already broken out after an 800-yard season, but there’s the potential for much more. The 25-year-old became the biggest factor in the Alouettes’ offence in 2018, leading the team in receiving despite playing with five different starting quarterbacks throughout the season. With 318 yards and three touchdowns in his last four games, and a stellar 18.8 yards per catch in 2018, Lewis is setting himself up for his first 1,000-yard season as a pro receiver. We could soon be grouping him with the best receivers in the Canadian Football League. Yes, Johnny Manziel belongs on this list. The three-down game didn’t come easy to the 26-year-old, but give him credit, when things got difficult, he took responsibility and vowed to get better. And he did. After a dreadful first start in which he threw four interceptions, Manziel’s numbers were respectable. In his last five starts, Manziel completed 65 per cent of his passes, averaged 8.6 yards per attempt, and threw five touchdowns against just two interceptions while compiling a 2-3 record. With a wide open competition coming to Als camp, Manziel won’t be handed anything in 2019. 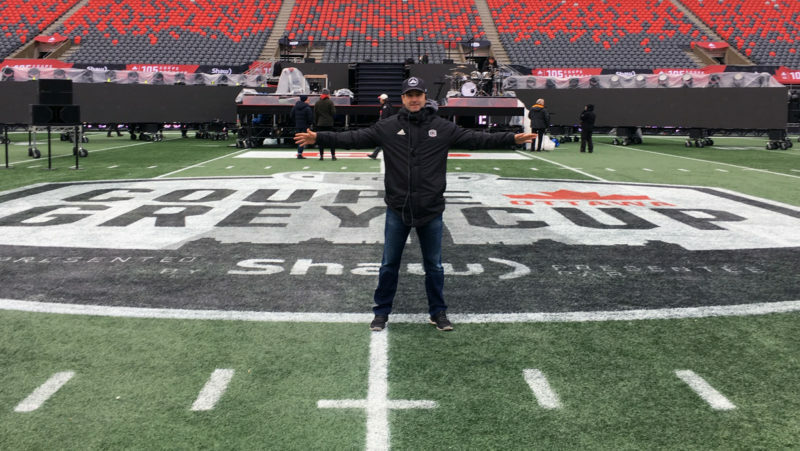 But if he takes the job seriously and shows it next May, he could be in for a really big season with the Alouettes — because the talent alone is unquestioned. With the departure of experienced veterans like Bakari Grant and Duron Carter, the Riders discovered some new talent at receiver in 2018. The most exciting might have been Kyran Moore, the diminutive 5-foot-10, 165-pound receiver who’s just as dangerous on offence as he is returning kicks. At just 22 years old, Moore forced his way into the Riders’ offence mid-season, catching 32 passes for 475 yards in 10 games. His speed and shiftiness has drawn comparisons to Brandon Banks, which should have Riders fans excited for what’s to come. 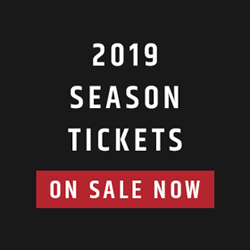 Another member of the Stampeders’ walking wounded, Reggie Begelton was primed for a massive second half of the season before suffering a season-ending injury last September. With Kamar Jorden and DaVaris Daniels sidelined, Begelton put up back-to-back 150-yard games before suffering an arm injury against the Argos. With Jorden’s status unknown and Eric Rogers and DaVaris Daniels pending free agency, the door could be open for Begelton to become one of the top options in the Stamps’ offence in 2019. The 25-year-old is oozing with talent. Merely an afterthought going into the season, Markeith Ambles made the most of his opportunity on an injured Stamps receiving corps, being elevated from the practice roster mid-season. After biding his time with Toronto and Calgary, Ambles stepped on the field and made an immediate impact, scoring four touchdowns and adding 306 yards in six contests. 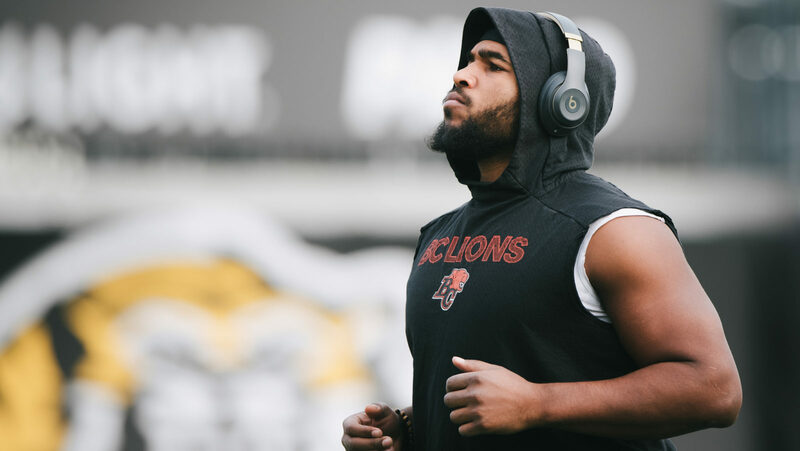 Ambles, still just 27, should hit the ground running in 2019 after proving himself capable to Dave Dickenson, Bo Levi Mitchell and the rest of the Stampeders’ offence. Injuries have held Derrick Moncrief to 18 games over the past two seasons, but the Riders’ linebacker has emerged as an underrated cog on the CFL’s top-rated defence in 2018. It’s easy to get lost among the seemingly endless playmakers in Saskatchewan, but Moncrief’s play has not gone unnoticed. Despite the departure of Chris Jones, which could see some changes in personnel and scheme, Moncrief is in position to have a career year in 2019 and, better yet, emerge as one of the league’s premier linebackers. Like with all young running backs on this side of the border, the primary concern with rookie Shaq Cooper was whether he could hold up in pass protection. When he did play, Cooper went off, rushing for 144 yards on 25 carries while adding 44 yards through the air. The speedy running back had a clear impact on the Eskimos’ offence whenever he spelled C.J. Gable, and for that reason he should see his role increase in 2019. Cooper is one in a handful of young, up-and-coming running backs in the CFL. 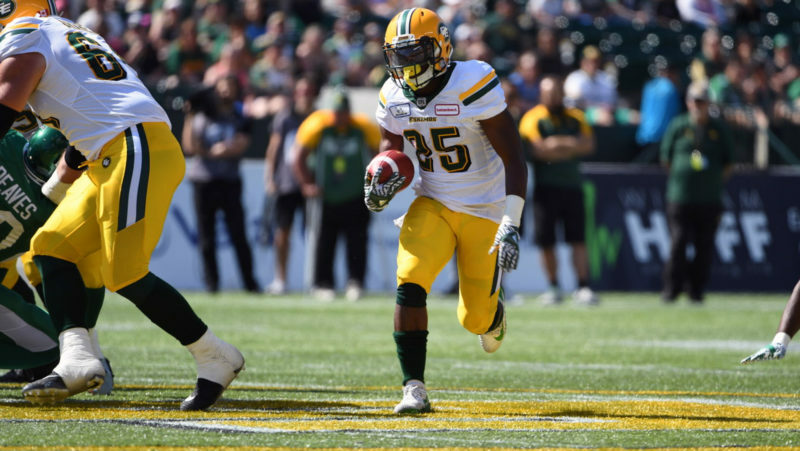 Money Hunter was the Eskimos’ Most Outstanding Rookie after starting eight games in 2018, an impressive feat at the age of just 23. While the Esks’ defence struggled, Hunter earned the trust of their coaching staff and asserted himself as a future building block on that side of the ball. The Eskimos will look different under new defensive coordinator Phillip Lolley, but Hunter should be part of those plans as he looks to build on a successful rookie season. After releasing Kenny Shaw and Josh Stangby before the season, the REDBLACKS had some uncertainty in their receiving corps going into 2018. RJ Harris erased any doubt early, starting 15 of 16 games while hauling in 49 catches for 697 yards and two touchdowns. He was a solid fourth option behind Brad Sinopoli, Greg Ellingson and Diontae Spencer and, with Spencer and possibly Ellingson on their way out the door, could be in a position to move up in the order in 2019. Even with an impressive pre-season it took Trumaine Washington some time to crack a veteran Argos’ secondary. When he did, however, it was clear he was here to stay. The 23-year-old fit like a glove in the Argo defence and had the stats to back it up, making 33 tackles and adding two interceptions, a touchdown and a forced fumble in 13 games. While the Argos’ defence could look quite a bit different in 2018, Corey Chamblin has a definite starter in the 5-foot-8, 190-pound Louisville product. The only player on the list without a single start to his name, there’s reason for the hype surrounding 23-year-old Folarin Orimolade. The 5-foot-10, 234-pound defensive end made quite an impression on the Stamps last camp, earning a full-time roster spot and the chance to dress for 10 games. After recording two sacks and two forced fumbles in 2018, the NFL departure of James Vaughters and the pending free agency of Ja’Gared Davis could elevate Orimolade to a much bigger role next season. 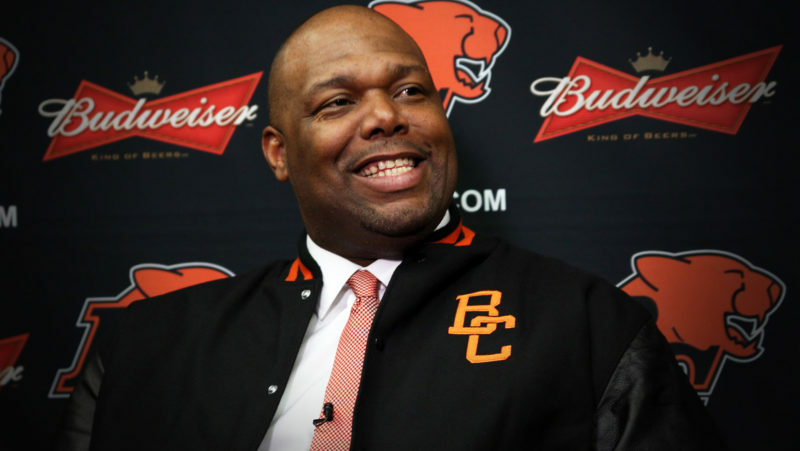 History tells us the Stamps have no problem scouting and developing defensive line talent. Partly responsible for making Kyries Hebert expendable, Avery Williams is slated for a starting job in Noel Thorpe’s defence in 2019. The 24-year-old has a bright future in the CFL after recording 43 tackles, a sack, two forced fumbles and a touchdown in 17 games. As long as he can hold down the job, Thorpe’s defence will put his talents to good use. With Naaman Roosevelt pending free agency and Jordan Williams-Lambert NFL-bound, the Riders are thin at receiver heading into free agency. One internal option could be KD Cannon, who impressed the Riders enough to earn a start in last year’s Western Semi-Final. Cannon brings speed to the equation, having run a 4.42 at the NFL Combine before finding his way north of the border. After biding his time on the Esks’ practice roster, Miles Shuler is looking for his first big opportunity in 2019. Shuler offers speed to burn, having run a 4.37 at Northwestern’s Pro Day, and would help fill the void left by departed receivers Bryant Mitchell and D’haquille Williams. Eskimos receivers have stepped in and had immediate success in Jason Maas’ offence, and Shuler appears to be the next man up.